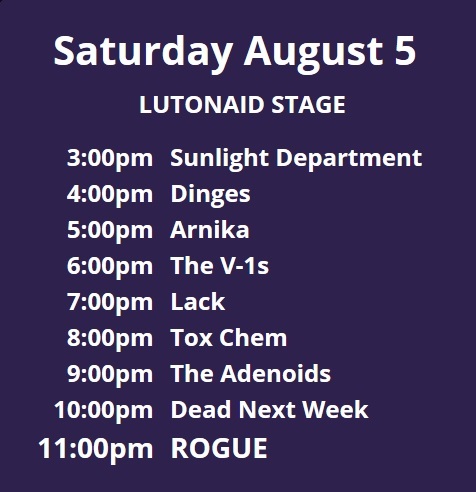 LutonAid is an annual live music festival that showcases bands from Luton and the surrounding areas and raises funds for charity. Started in 2005 by Mariana Brown, LutonAid has gone from strength to strength, building from a single stage, single day event at the Universty of Luton SU bar to a two day festival incorporating live music, stall holders, children’s activities and food. In 2011, a committee was established by Mariana with the aim of expanding on what was just a single event each year. LutonAid Music Academy (LAMA) launched and achieved charity status in 2012. It has been set up to support, encourage and develop original music in Luton and the wider local area. To find out about LAMA, visit www.lutonaidmusicacademy.org (LAMA – registered charity number 1147211).